The windows in your home are always performing and the windows also aid in controlling the flow of heat in and out of your home, as well as the amount of natural light. All of this will influence how much electricity you need to keep your home comfortable. The US Department of Energy estimates that the amount of energy lost annually through windows is $35 billion and that the average American household spends $1500-$2500 every year on energy bills and estimates that 45 percent of this amount is for heating and cooling cost. There are many varieties of window films available today that will solve many problems, from heat and glare reduction, thermal insulation, UV filtration, safety and security, privacy, decoration, or even graffiti protection; there is a film for you. Regardless of your specific need for choosing a specialty window film, most window films carry the same standard qualities - to reduce glare, cut down on heat, reduce fading, create privacy and make glass safer in emergency situations. No longer do you have to select a dark film to get major benefits, like heat rejection. Advanced window films today are available by EASTMAN brands Vista and LLumar. 3M Window Films are also available. These Films available by our manufacturers come in many different shades and styles - from completely transparent to films that offer 100% privacy. Even though modern home windows are taking on the properties of commercial glass for improved energy efficiency with double-pane, triple-pane, and even more recently quad-pane glass, you may still be lacking several other benefits that in turn cause you to lose the natural light in your home by putting up expensive shades or drapes. With window film you can return all of the natural light to your home while combatting higher energy cost, glare issues, rapid fading of flooring, furniture, art-work and more caused by intense UV light. When you hire Accurate Window Tinting you can be confident that we are fully licensed and insured - we have workers comp insurance and bondable. We are also properly registered in Delaware and Maryland. If you require any certificates of insurance it can be supplied upon request. If you need a W-9 we can provide that too. Hire a company that is operating a business properly, according to the law, not a back yard. Compared to expensive shutters, blinds, drapes or shades window film is a great cost-effective solution. With window film not only will you maintain a great unobstructed view but this will also allow you to conserve energy and increase the comfort within your home. We can demonstrate how effective our films will be with our advanced test equipment. Feel free to request a demonstration on how effective our films are in reducing the fading process and how it can improve the efficiency of your home. 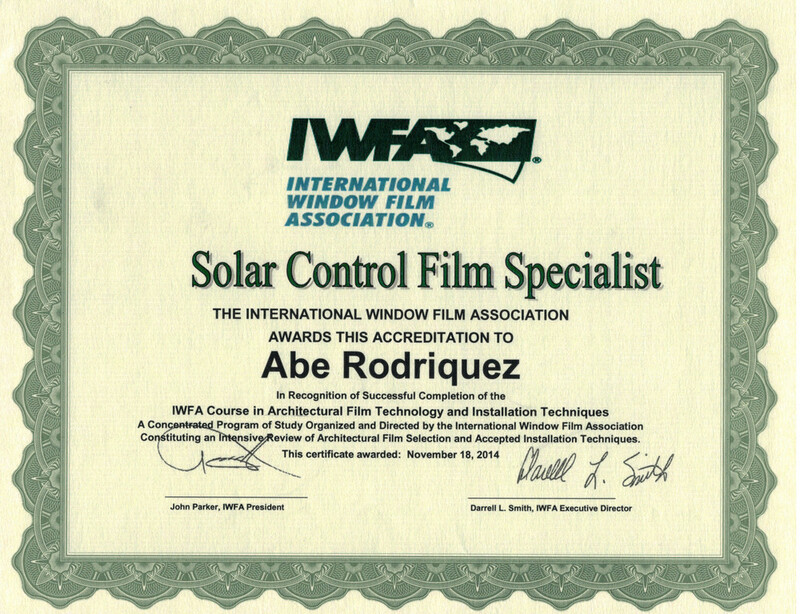 Solar control window films distinguish between the sun’s light and the sun’s heat, the window film will screen out heat and ultra violet rays while allowing visible light to pass through the glass. When applied to the interior of your windows, the film can reject up to 78% of the sun’s solar heat and cut a substantial amount of the sun’s glare. There are a number of factors that attribute to fading. UV rays cause the most damage, but it is not the only factor, there is also visible light and solar (heat) energy that increase fading. 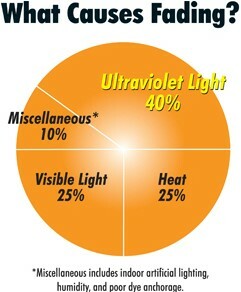 Vista & 3M window films reject 99.9% of ultraviolet light and carries the Skin Cancer Foundation’s Seal of Approval. If you are trying to save energy then window film can reduce the solar energy by up to 83 percent. This in turn will help lower your home's energy consumption. Window film will also help in extending the life of your HVAC system by reducing the demand that is constantly being placed on the unit. Because of window film's ability to help save energy, window film is recognized by the U.S. Department of Energy as an energy-efficient retrofit. "We cannot say enough wonderful things about Abe Rodriguez and Accurate Window Tinting. We had to replace 5 very large floor to ceiling window panels, 2 sets of French doors and 2 sets of 8 foot sliders all of which needed window tinting. The previous windows were tinted with Vista so we sought out Abe as he was listed as the local dealer. We knew nothing about him so we asked for references. His references were almost too good to be true, but little did we know that he was even better than that! He arrived promptly to give us an estimate which was professionally done. The pricing seemed right so we signed on and ordered the film. Our job should have been simple with the windows ready for film in a month. Unfortunately, the windows kept arriving in incorrect sizes for the most part and had to be constantly reordered. Each time we finally had a correct window or door installed, Abe was more than happy to come by and install the film. What should have been one trip for him (from Dover to Rehoboth), turned into many over a period of over 4 months as one or two correct windows would arrive needing film. He never, ever complained; just said to call him when the next window or door arrived and he would make time to install the window film. He was always on time, professional and did a perfect job. He never charged us a dime more for all the extra trips required because of the window suppliers errors; he just was always ready to accommodate us...with a smile and a perfect job! We have already recommended him to several neighbors and are more than happy to give a recommendation to anyone looking for a true professional expert person to do window tinting"